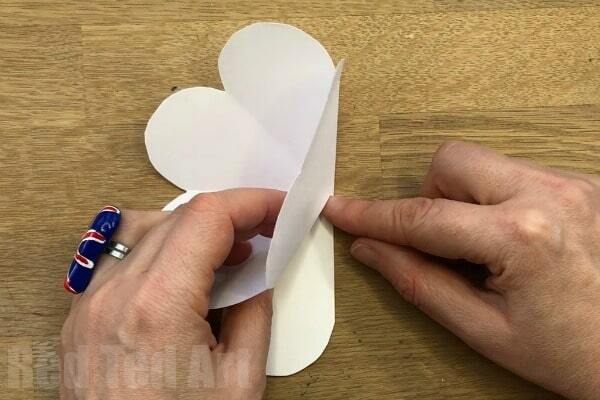 A step by step guide to how to make a heart pop up card. 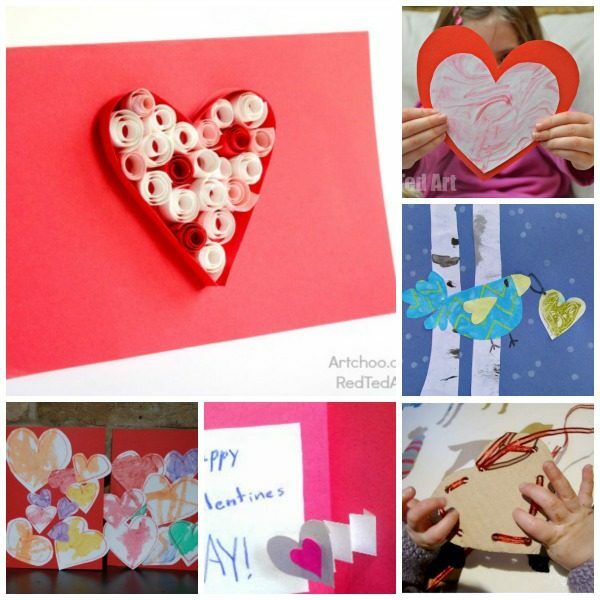 You will love these easy to make DIY Heart Pop Up Valentine Cards. 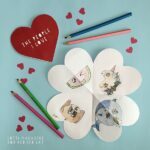 They are also wonderful for Mother’s Day or as a Wedding Day card. 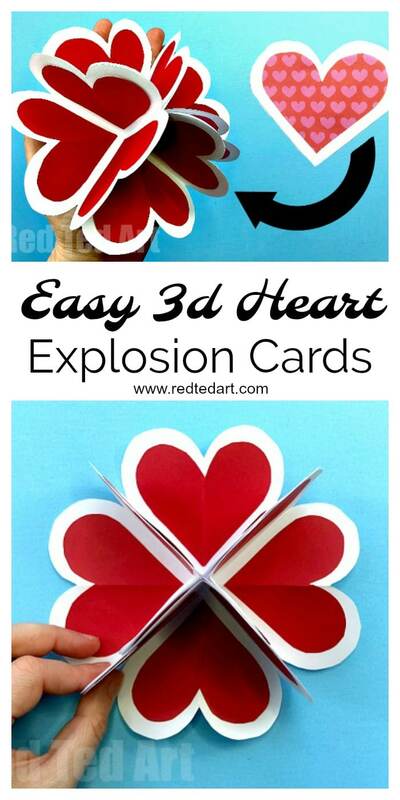 These 3d Heart Cards, make a great alternative Explosion Card – as they are nice and easy to make. 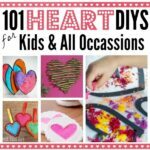 And we have created a simple Heart Template to help you along the way (though you can make these without heart template too!). These are classic circle hard card. 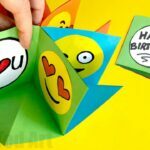 We have made circle cards before and created a Birthday/ I Love You Emoji Pop Up Card version for you to check out! 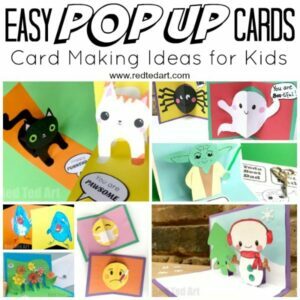 We have many more fantastic Pop Up Card Designs here on Red Ted Art, as well as more beautiful and easy Valentine’s Day Cards for Kids! 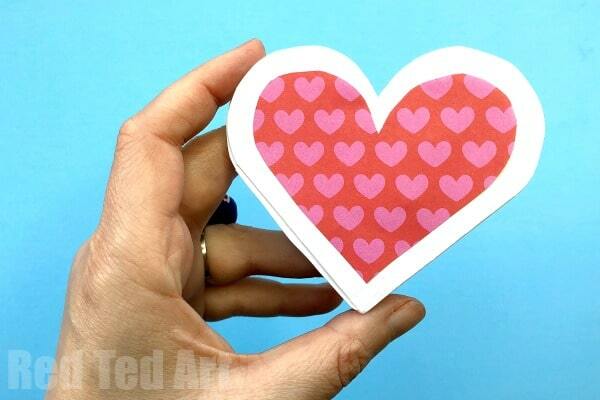 Make use of our simple heart templates if you wish! 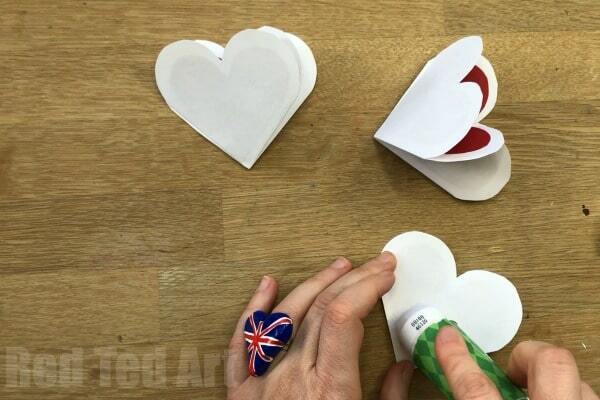 We have once again created a fabulous step by step Paper Heart Pop Up Cards VIDEO for you to watch – I really do think it shows how very easy it is to make these cards… plust the video shows you how to create your very own heart template if you do not wish to download ours or want to use different dimensions… or you can check out the step by step photo instructions below! 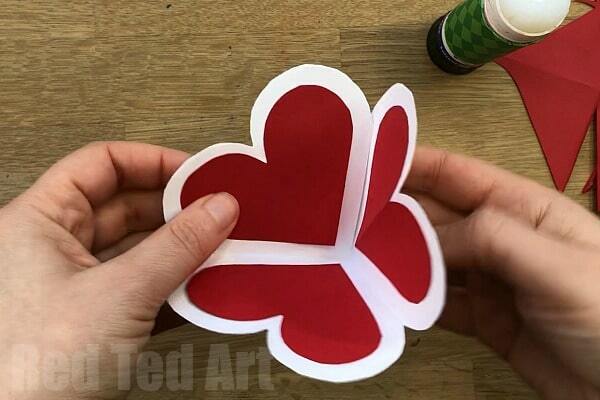 Begin by folding in half one direction. Opening again and folding in half in the other direction. Your paper should now have a cross folded across it. And it should now be a “smaller square”. 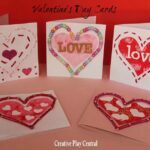 Now you need to place your heart template over your square – align the bottom of the heart, with the central corner of the square and cut your shape. 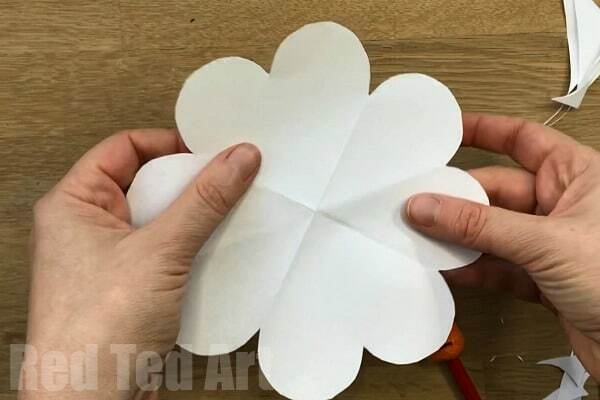 When you unfold your paper, it should look like a four leaved clover. Next you need to bring the bottom right corner over to the bottom left. Whilst keeping your index finger on the centre of the squrae… and bring down middle left to the bottom middle point. 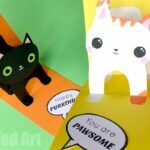 Creating a triangle that is tucked in. 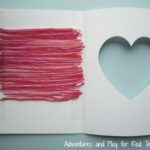 Open up your sheet (make sure your creases are neat) and cut down half way on your top middle fold. 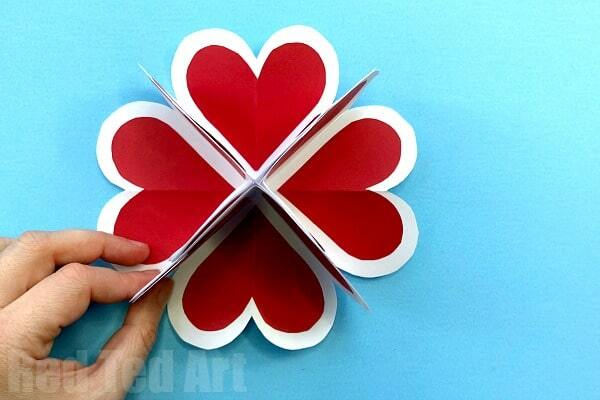 Now use your second heart template to cut out 3 read hearts per quarter (you will need 12 in total). 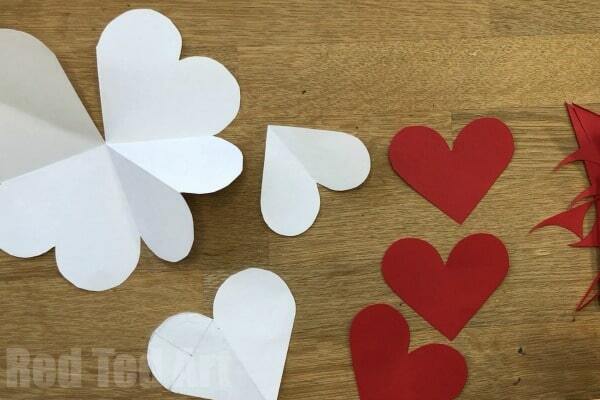 One of the red hearts will need to be folded in half and glued on the side that has the diagonal fold. 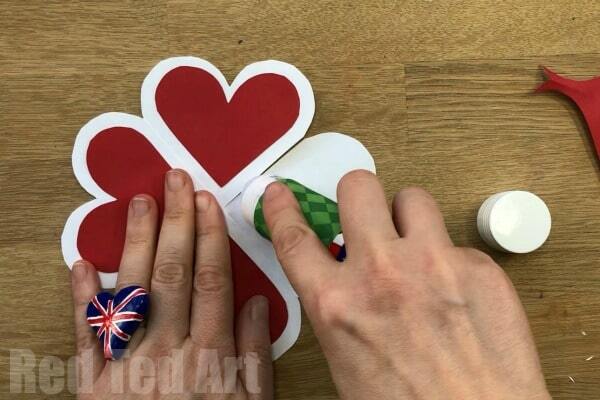 Glue the rest of the red hearts in place. Now glue your top left corner square onto your top right corner square. 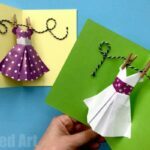 You have created your first pop up fold. 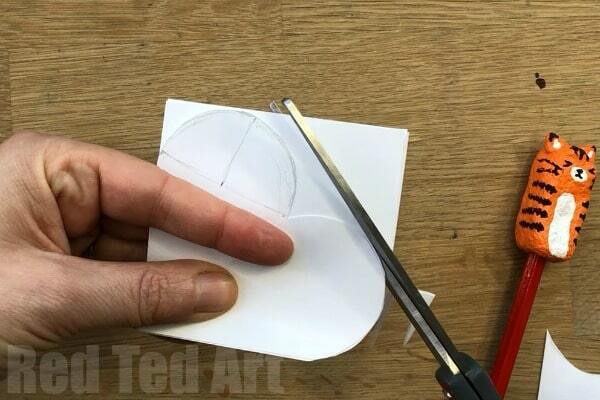 Then glue 3 sides together and keep the final flap unglued/ open. 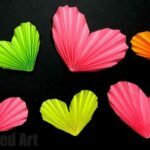 Make sure that when you place each of the 4 sections on top of each other, the “folded in heart” is always on the bottom and aligned. 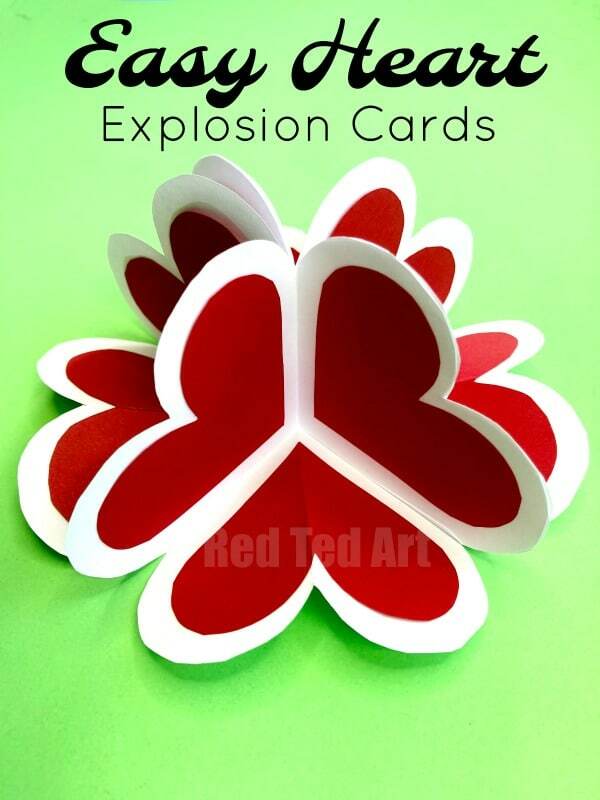 We added a final decorative heart onto the front “cover” of our pop up heart card/ explosion card. 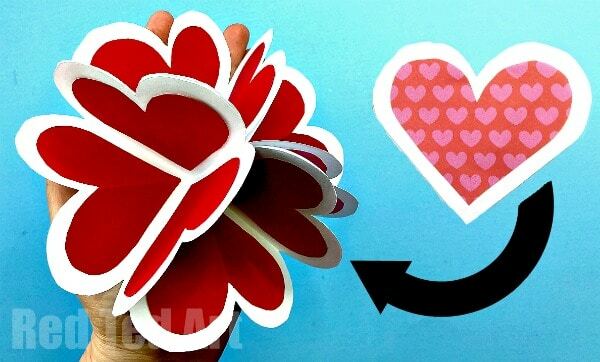 Your 3D Pop Up Heart Card DIY is complete!